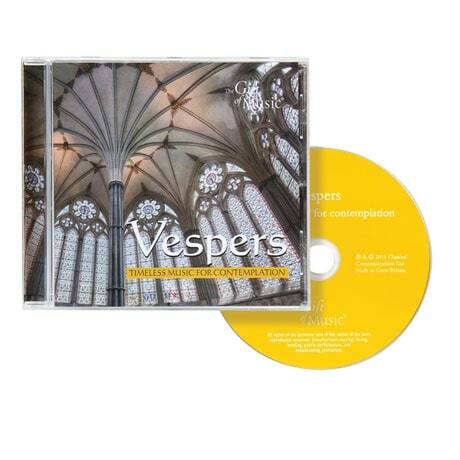 Fill your home and your heart with the joy of spiritual evensong via our exquisite Vespers collection. This CD features 24 Christian songs, including simple chants and soaring chorales, totaling over an hour of playtime. Wonderful for devotional time, keeping you calm and focused at work, for background music while reading or cooking…. Vespers is perfect for any time of the day or night.